My biggest challenge is that I’m scared of the ball. I know it’s because I’m new and I’ve only been in the position for a few days but how can I become less scared? Many new goalies can certainly relate to this email. Heck, there’s probably a lot of experienced goalies out there that can relate. I remember the feeling of being brand new and having a talented attackman fire a shot at me with every ounce of strength in his being. Needless to say, I was scared and I flinched. Stepping in front of a lacrosse shot wearing minimal padding is not a natural thing. Most rookie goalies (checkout Colin from TLN) move away from the ball, close their eyes, or do any number of bad habits typical for beginners. Just the act of a ball carrier winding up for a shot is often enough to fill young goalies full of fear. So what’s a new goalie to do? Here are some of my tips for overcoming that fear of the shot. The first step to feeling confident in the goal is to get the right protection. While many goalies prefer less pads I think beginners should sacrifice a little mobility for protection. As you get more comfortable facing shots and the fear subsides feel free to strip off the additional gear in favor of more mobility. Make sure you’ve got lacrosse goalie gloves that have the beefed up thumb and padding to protect your hands. Ice hockey goalies (even those with 3 days of experience) often describe the feeling of invincibility because they strapped head to toe with great protection. That is definitely not the case with lacrosse goalies but at least by using as much protection as we can, we’re able to feel a little more confident in the goal. And that confidence translates into being less scared of the ball. Tennis balls are great for beginners for a few reasons. One – they don’t sting like lacrosse balls. Taking a tennis ball shot to the thigh is completely different than taking a lacrosse ball to the thigh. Two – tennis balls are actually harder to save without giving up a rebound. The softness and lightness of the ball tends to pop out of our lacrosse goalie mesh. So when we use tennis balls during drills and focus on not giving up rebounds we’re teaching our young goalies to have soft hands and to replicate perfect technique to eliminate rebounds. From the shooter’s perspective using tennis balls is different but when it comes to making a safe, lacrosse goalies still need to execute the basics whether its a tennis ball or a lacrosse ball coming their way. Even with experienced goalies when I’m doing drills like the Irish Guard where the goalie takes a lot of shots <8 yards in a short period, I’ll always use tennis balls. Pickup a bag of tennis balls on Amazon. I know lacrosse goalies with years of experience who sometimes still get scared of a shot. You shouldn’t expect to be fearless after 3 days of manning the cage. It’s just not realistic. If a guy who’s been playing lacrosse all his life is afraid of tennis balls, what makes you think your young goalie won’t be? While there are certain drills (covered below) and techniques that can help reduce a goalie’s fear of the shot, ultimately our best weapon against fear is time and experience. The more shots you see, the more accustomed you get, the less you fear the ball. This is true in many areas of life, right? Whether it’s learning to swim, learning to mountain bike, or striking up a conversation with a beautiful girl. At first you’re scared. But with time and experience you get accustomed and realize what you were scared of in the beginning is no longer as frightening. So have patience. With experience lacrosse goalies lose their fear of the ball. I talked about the mental approach in post I wrote about eliminating the turtle. A primary point of that post is that a huge factor to eliminating the fear response is the goalie’s mental approach. It takes time but developing an “attack the ball” mindset is critical to goalie success. This is one of the main reasons I teach goalies to step at a 45 degree angle vs. lateral when they’re getting started. A 45 degree step towards the ball helps develop an attack the ball philosophy. You can also use vocal triggers the fortify your mental game. Let’s go – shoot it – come on, bring it! – These are a couple of vocal triggers I use with goalies to help get them into an aggressive, “attack the ball” mindset. There is no elite goalie who doesn’t have this mindset. The desire to stop the ball must completely drown out any feelings of fear. Read that sentence again – The desire to stop the ball must completely drown out any feelings of fear. If the feeling of fear is greater than your desire to stop the ball you will not be a good goalie. Period. When I was a goalie at Cal our football team had a running back by the name of Marshawn Lynch. His nickname was “Beast Mode” because of the mental state he brought to each game, mentally transforming into an aggressive mindset for each game and each play happening within that game. 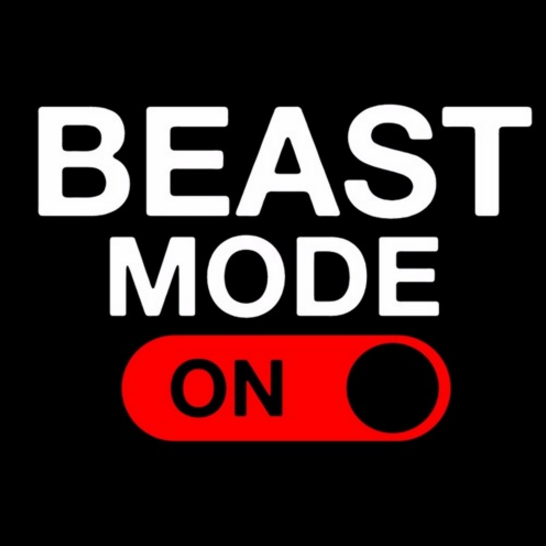 The “Beast Mode” mindset is something a lacrosse goalie must bring into games and practices so that the fear response never rears its ugly head. In addition to working the mental approach to eliminating the fear response, there are also a few specific drills that you can do with a beginner goalie who is constantly flinching and dealing with turtle mode. As I mentioned above, that’s the body’s natural response, so these drills will help override that response so a goalie can focus on making saves. Only through repetition can a goalie override the body’s natural response and eliminate the turtle. One drill I’ve been using lately was actually introduced to me by a reader of this blog who was taught by Coach Guy Van Arsdale, an All-American goalie. We’ll call it “Chain Fence”. The goalie stands protected behind a chain link fence, with or without pads but we usually keep the helmet on at a minimum. I’ll fire shots at the goalie as hard as I can and the goalie makes simulated saves. Focusing on the aggressive mindset and attacking the shot. I think the fence helps the body understand that no pain is possible and therefore no fear is needed. As you repeat shot after shot with no fear, the body starts to detach fear from shot. This helps the goalie develop a no fear mindset and helps them attack that ball once the chain link fence is no longer there. The 2nd drill I use to eliminate the fear response comes from Coach Buck. It’s called “Nerf Ball”. Again this drill can be used to remove the association of fear and shot. They’re nerf balls, they don’t hurt. Even with the nerf balls you’ll find beginning goalies can still flinch or go into turtle mode in this drill. Work that out of their system. They should be calm and focused on the ball’s release in this drill. I’ve yet to find exact type of nerf ball Coach Buck uses but I’ve used these nerf golf balls with success for this drill. The more shots a young goalie sees the more comfortable he/she will start to feel in goal. While nearly every beginning goalie will demonstrate some element of the fear response in the early days, with repetition after repetition their mindset changes and they start to fear the ball less. So after you’ve learned the basics of making a save, you’ve got to start seeing shots. All beginning lacrosse goalies will be afraid of the ball. It’s a natural human response. Using those techniques it’s only a matter of time before you forget what it’s like to fear the ball. Anyone else have other tactics they use to overcome their fear? I’d love to hear them. Leave me a comment down below.